Sonora Island lies directly north of Quadra Island near Campbell River, and is the northern-most island of the Discovery Islands. It’s location between Vancouver Island and the mainland coast contributes to spectacular tidal rapids in the channels and passageways along it’s shores, as in Hole In The Wall and the Okisollo Channel (the wild salmon narrows). Sonora is also the southern-most part of the Great Bear Rainforest EBM (Ecosystem Based Management) designation. Like most of the south coast, Sonora Island has been extensively logged, and old growth forests here are in deficit according to the requirements of the Ecosystem Based Management. Timber West has told us (a group of concerned Sonora Island residents) over the past several years that they are not cutting old growth because there is such a deficit. Their letter to us concerning this summer’s logging plans stated “All of the proposed development is within second growth timber…” But in just one of several blocks to be cut this summer, above Hole In The Wall, we recorded 160 tall, straight, beautiful old growth trees. Most are Douglas fir, the rest red cedar, about 700 years old in an original forest that has never been logged. These stands of coastal Douglas fir are very rare – less than 1 % remain on the east side of Vancouver Island and the Gulf Islands. We brought these to the attention of TW with dozens of photos and were told there are not enough of them to count as an old growth forest. Our forests have been so fragmented with logging, of course there are no huge stands anymore. What smaller areas we have now are precious! 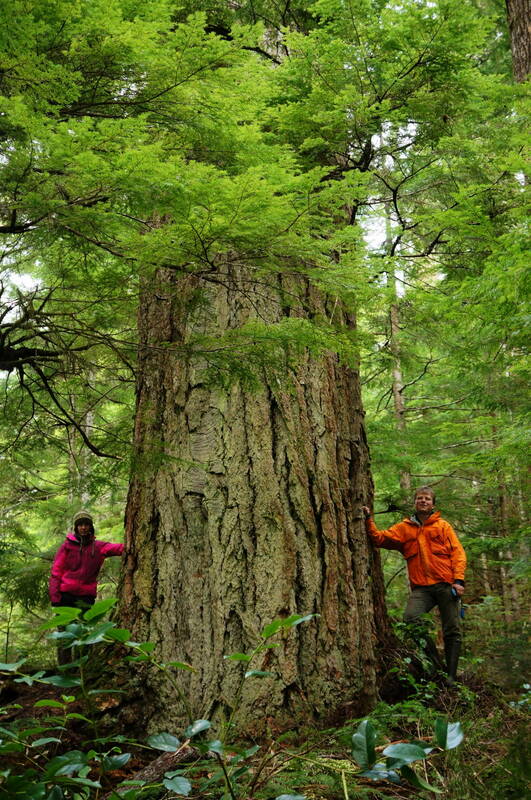 Timber West has no Old Growth Management Plan for Sonora Island concerning the retention of ancient trees, and continues to log these despite agreeing they are in a deficit. We are requesting a halt to any further cutting of old growth, no matter what size the stand is. Sonora needs an appropriate OGMP that acknowledges the rarity of original Douglas fir and red cedar stands and commits to conserving them. I think we need to stop and assess, evaluate, and create a management plan for our ancient trees on the whole of the south coast, but in the meantime, please send a short email to Timber West’s CEO Brian Frank at frankb@timberwest.com urging Timber West to stop logging old growth trees on Sonora Island. 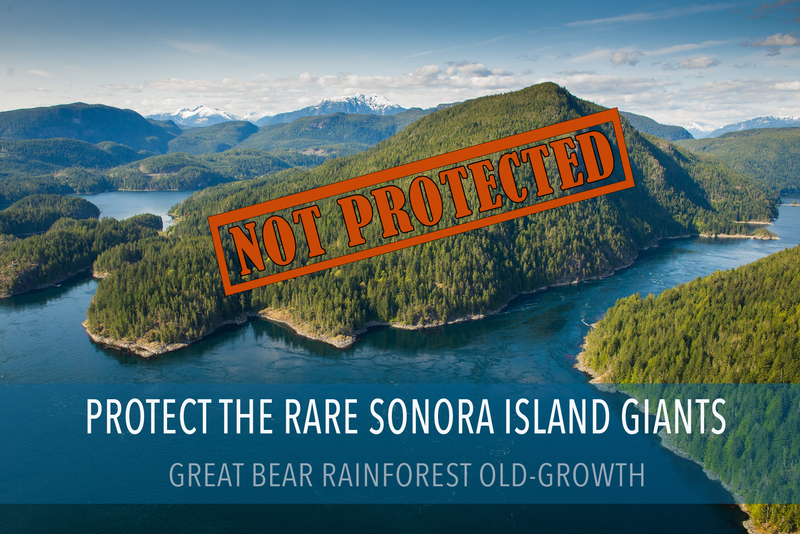 The fight to save Sonora Island's last old-growth forests in the Southern Great Bear Rainforest. 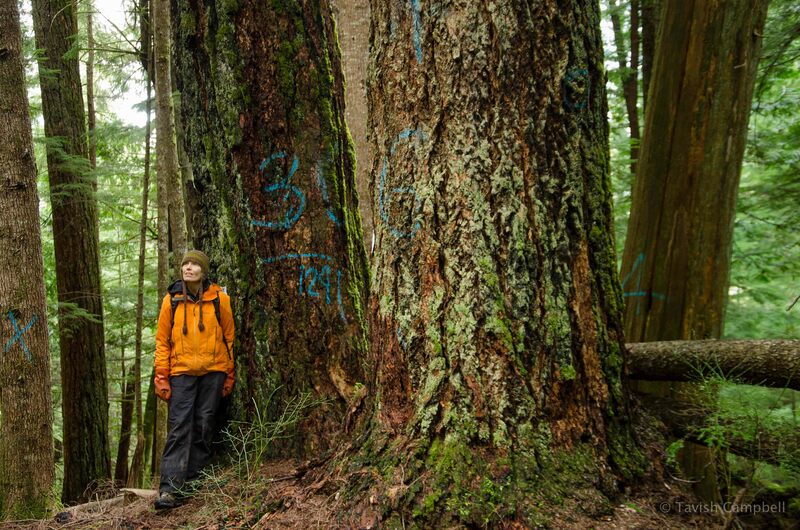 Take action now to save old-growth.